I found this today in the Durham coal field, UK (upper Carboniferous). I usually collect in the Yorkshire coal field, and although this one site is obviously not representative of the whole of the Durham coal field, the Durham coal field seems notably different to the Yorkshire coal field, with some rocks similar to ones at a site where I have collected in the Fife coal field, and some of the nodules similar to the nodules found at some sites in the Lancashire coal field. 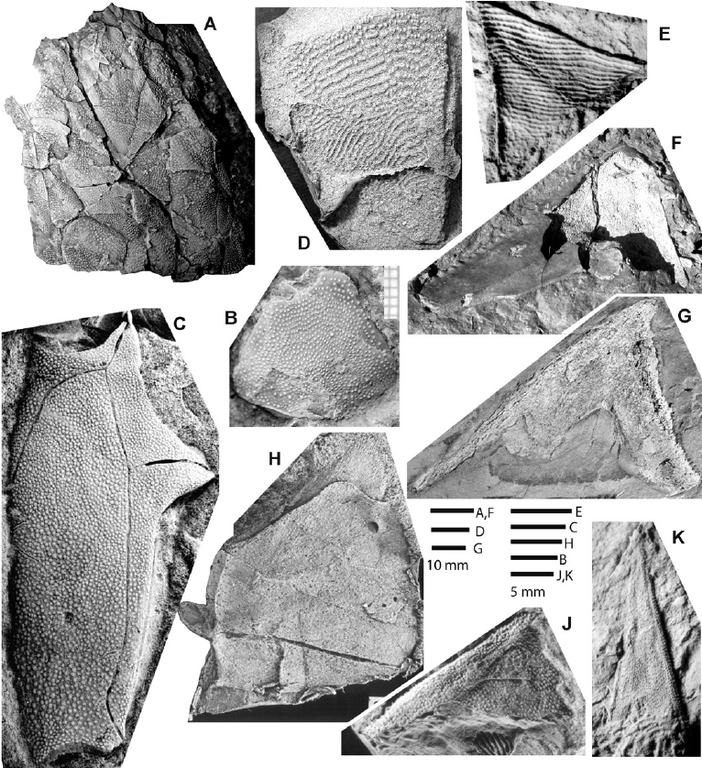 Interestingly, there were some fish fossils in the same blocks as plants, and there were some large fish fragments in the same layers as foraminifera. 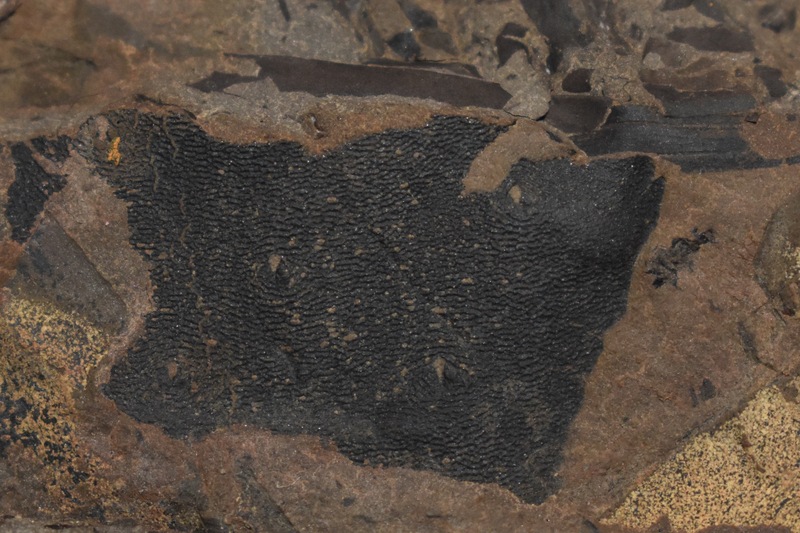 In the Yorkshire coal field, layers containing foraminifera usually only contain very small fish fossils. 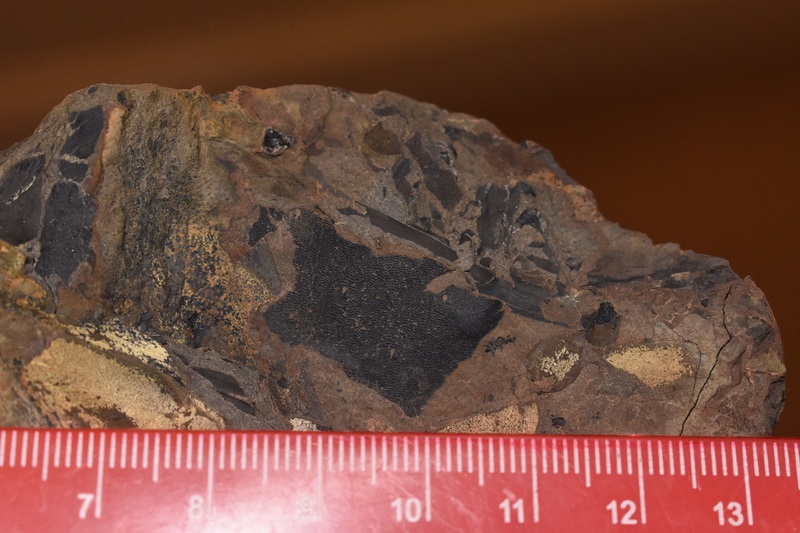 My best finds today were a Rhizodont scale in a block containing plant fossils, a small fish tooth, an Elonichthys scale, a Megalichthys scale and some well preserved plant fossils. Does anyone know what this is? I’m 99% sure it’s a plant fossil. I think I have seen a similar example before, but I don’t recall where I saw it. My first thought was that it’s an arthropod fragment, though I think this is very unlikely. Not sure if he is able to visit but I'll copy him and maybe he or someone else can comment. I've personally never seen plant material like that. My initial gut reaction was fish, but then I read your arthropod comment, and I would buy that as well. Can't wait to hear what others say! I don't think that fish have a camp, but if they did, I'd be in it. It it were Devonian, (is there Devonian stuff in the area? ), it might be Placoderm armor. I would pitch my tent in the shark cartilage section of that camp. Maybe some good close ups of the associated bones and other pieces in the rock would help with a determination. Thanks for the suggestions. 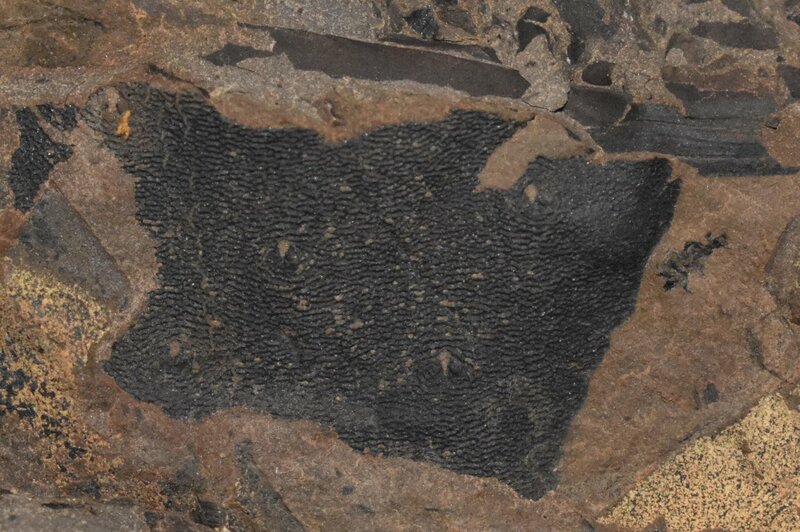 There are a lot of plant fossils in the same nodule, though these nodules can contain both arthropods and fish fragments. 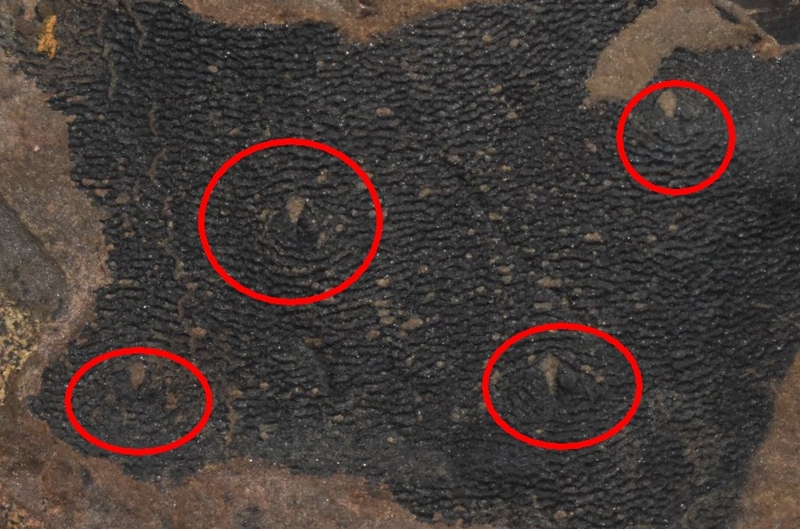 I was wondering if these circled areas are elliptical/diamond shapes are the remnant leaf scars...compare to Roman's closeup in his gallery. Back to the chores and oatmeal...have a good finish to the weekend! Thanks. I think that identification is correct. They do seem regular enough to be leaf scars, and the similarity in size and shape supports that also. The texture of the rest of it is not familiar.